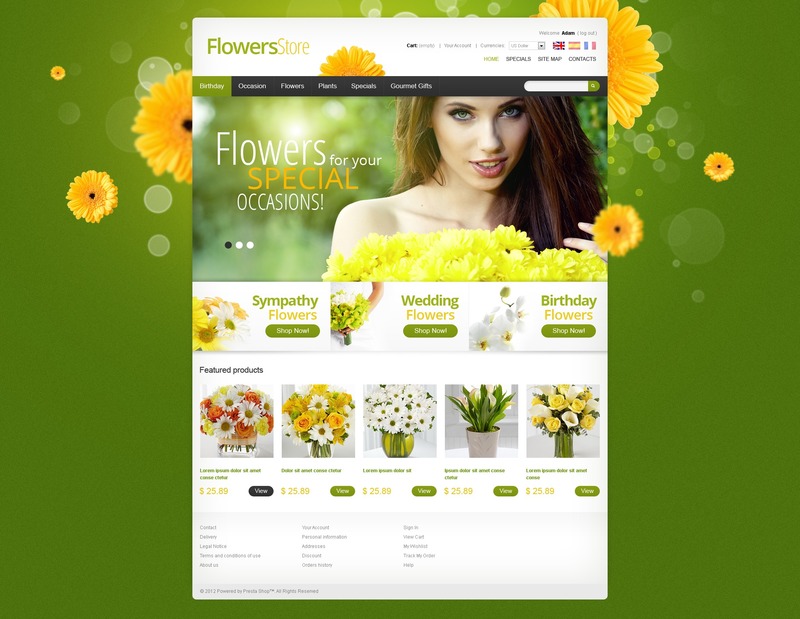 Cheerful green and yellow colors and flower images in the background look very fresh and attractive. Slider advertises discounted offers. Three promo banners are placed under it. Featured products are presented in five columns. Drop down menu saves the space on the page. Footer links guide the customers through the website.